KoTiX -Tech & Mods: New Carplay skin update, Favorite Stations buttons, Personal language strings, Font type Changer etc..
New Carplay skin update, Favorite Stations buttons, Personal language strings, Font type Changer etc.. Here are some good news today!! I uploaded a new skinpack in the Carplay folder only for now but soon it will be available for other skins too and for all the firmwares. and with it replace the english one. it will be replaced the string in all skins and the font file in the skin number specified, in this case skin5 only. All the custom languages can be installed only if you patch the system, so even if you try to change the Language before patching you'll be prompted to do it. For this great feature and the patches we all have to thanks a russian friend ALEX O. With his great skill and knowledge he is giving us everyday something new to play with. In carplay skin I started modifying the Ipod Section but as i don't have an ipod I cannot test it, I need you reports guys. I changed the audio player tags for a better showing of artist and song title and I modified a bit the BT music section to better show music info tags too. After payment you'll be redirected to the download link (clicking on "return to reseller site") and you'll receive an email with a memo of the link. Hi KoTiX, first of all congratulation for your skins, they are awesome !! Will all these features be available for firmware 1.7.9 ? 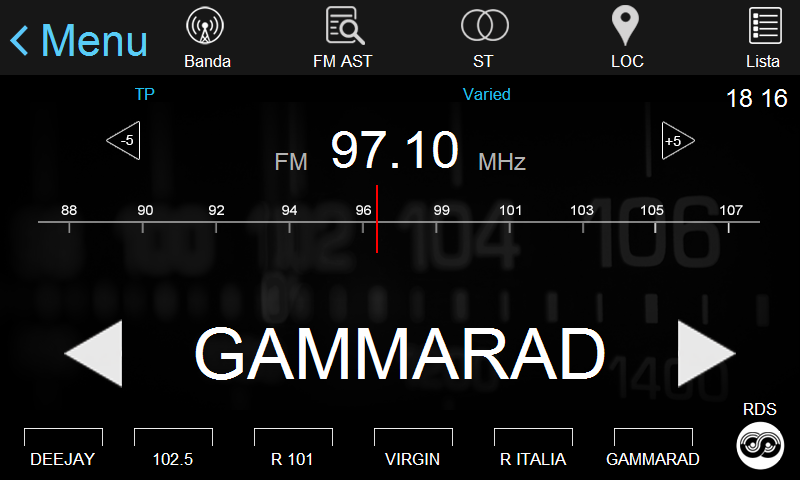 Radio stations on main screen is working, but there is a bug with audio player when you switch to next song by hand, tags are not recognized. 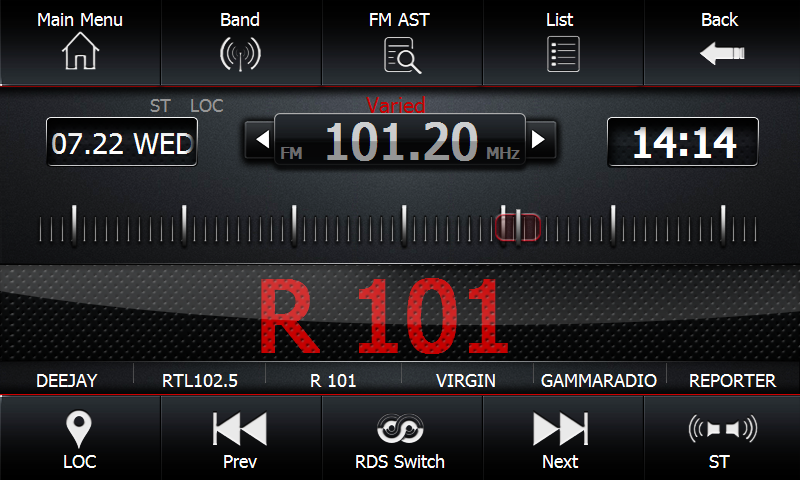 I'm not sure if we will have radio stations mod for fw 1.7.9 but all the rest will be done next week. Clicked carplay paypal button, but it turned out to be regular skinpack which i have already bought. is there any discount for the user like me who already bought the first Carplay release ? I mean that you don't need it. I am waiting for the 1.7.9 firmware version! 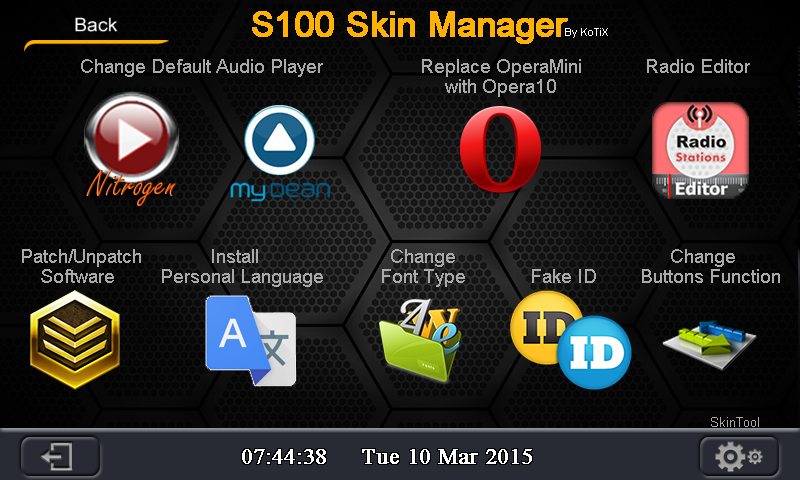 A new Update with some bug fixed and standard skinpack with skin3 and 4 are available in my dropbox folders. The 1.7.9 version will be ready during next week. I just bought the Carplay skin. It's very nice. But i have a problem. 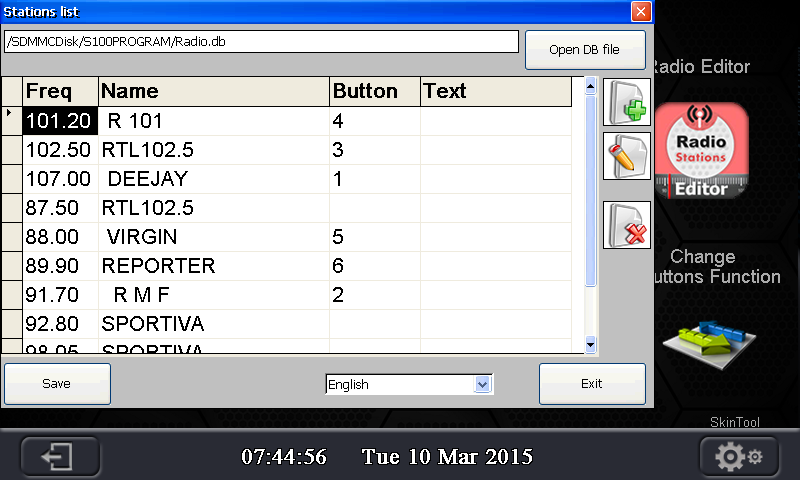 I don't know how the assign numbers for radio stations(the third column from Radio Editor program). It's easy, just move away the keyboard. Dear Kotix, where i can find instructions about 'Change Buttons Functions' i can't understand the buttons positions. For telephone function there no way to see SMS message or use the voice to control phone functions? "Change button function" will enable the choosen button to start the audio player only. No way to make telephone functions you have described.